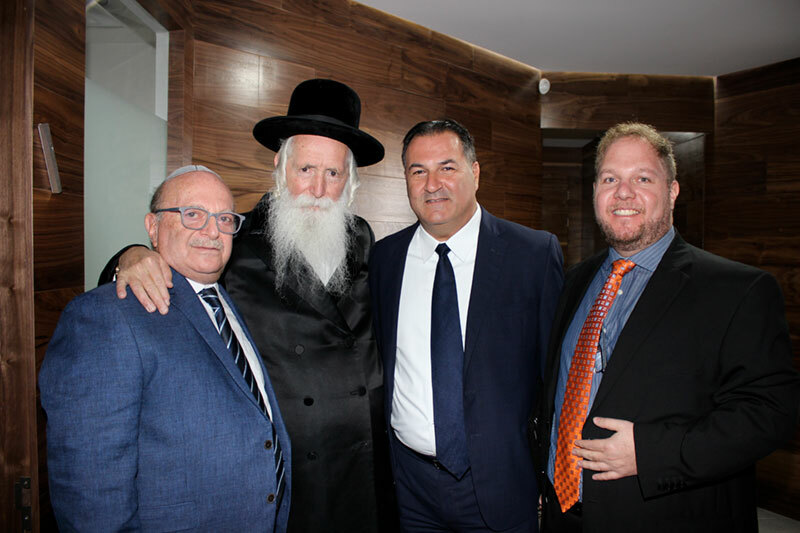 Israel Prize Laureate Joins in Affixing Mezuzahs in New Bonds Office in Mexico City. doors in the new Israel Bonds office in Mexico City. 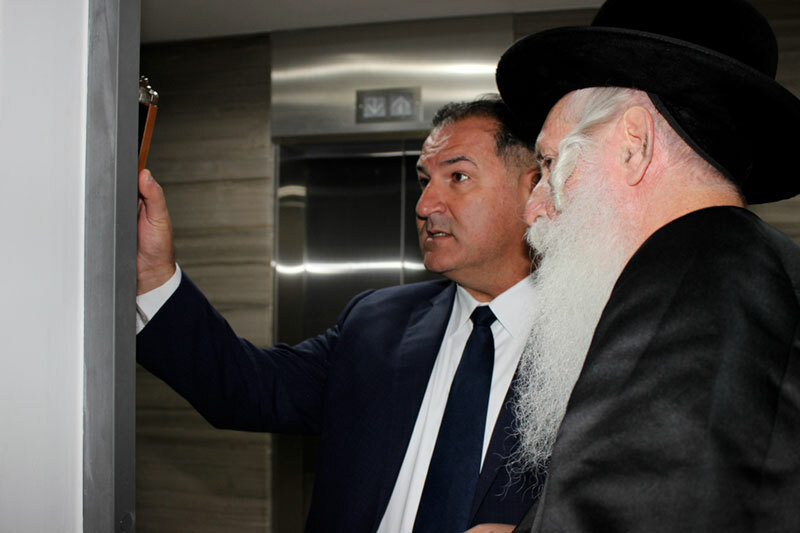 Israel Prize Laureate Rabbi Yitzchak Dovid Grossman and Israel Bonds President & CEO .Israel Maimon affix a mezuzah in the new Bonds office in Mexico City. distinguished rabbis and Jewish community leaders from Mexico City.